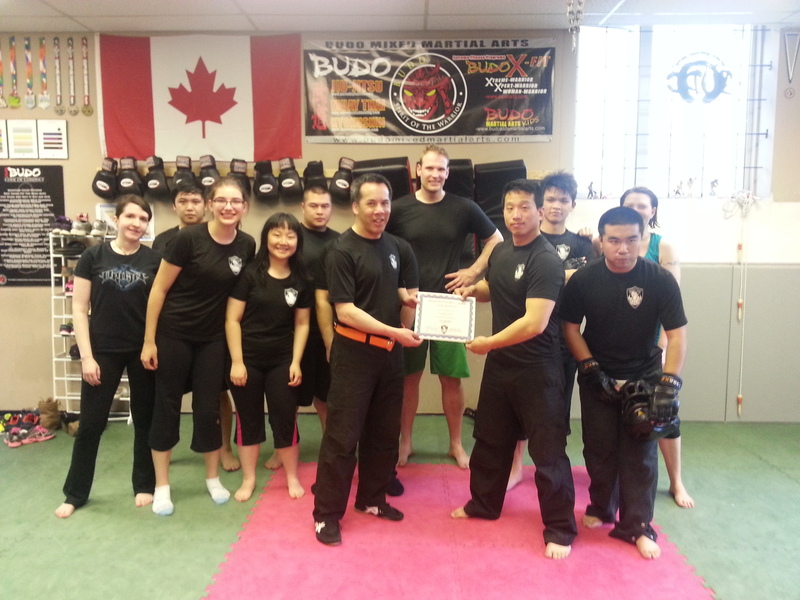 I have been with Urban Tactics Krav Maga for going on around 10 months now. I enjoy every minute of it. It is not a class that teaches fitness, however, I always feel I get a nice work out after I finish a class. The warm ups before the classes are brilliant! And fun and enjoyable which is the best part. The warm ups we do consist of games that test your reaction time, general speed, ability to dodge things, etc. There is this one game in particular I enjoy which they call “Pillsbury Dough Boy”, and how it works is everybody in class tries to poke each other’s belly and how the person defends against getting poked is by using his/her arms to block the opponent from getting direct hit to the belly (if someone came to the class and witnessed this and hadn’t seen it before, they may think it looks silly) but in fact, this game is a strategy to deflect a possible knife attack in a real situation as well as facing multiple attackers and kind of getting that feel for “battle strategy”. The blocks used in this game are from the 360 defense which is the foundation of a lot of Krav Maga techniques. Next step in class is the stretches which is paramount, then we learn techniques and (sparring in the warrior classes)which I am still very new to, but I am learning as much as I can to better myself and grow more confident. Sparring is a great time to practice what is taught in the classes as well as get a more real feeling for what certain confrontations might be like. I remember my first day attending this school like it was yesterday. Jonathan and Borhan were teaching a defense against a double-handed choke from the side and breaking it down into steps. After we had for the most part learned the technique, to make things realistic the instructors turned on loud music and turned the lights off and each of us classmates took a turn standing in middle of a circle of students (which pose as attackers)and the person defending was supposed to keep their eyes closed and rotate around and at a random time an attacker would come apply the choke on you and you have to react right away and do the counter attack in return. This gives the real feeling of maybe a club scene or somewhere where you won’t know what is coming and having to react so quick enough to save yourself from getting lulled into unconsciousness…or even worse. After this first day in class I had a very healthy respect for what was being taught. I was hooked! I wanted to get into a martial art for quite a few years now, I had done Karate when I was around 9 years old until 12 years old which I had reached an orange belt but then quit at some point. I was very young at the time and I guess I enjoyed being outdoors more I guess, doing stuff such as building bike ramps in my alley and getting speed on my mountain bike and hopping over certain amounts of garbage cans! And I enjoyed playing laser tag games which I got for a birthday one year:) and I also at a very young age had a keen interest in wilderness survival and getting into the bush! So I then joined boy scouts which helped me fulfill those things I wanted to do. I am 26 years old now and I still love that scene. 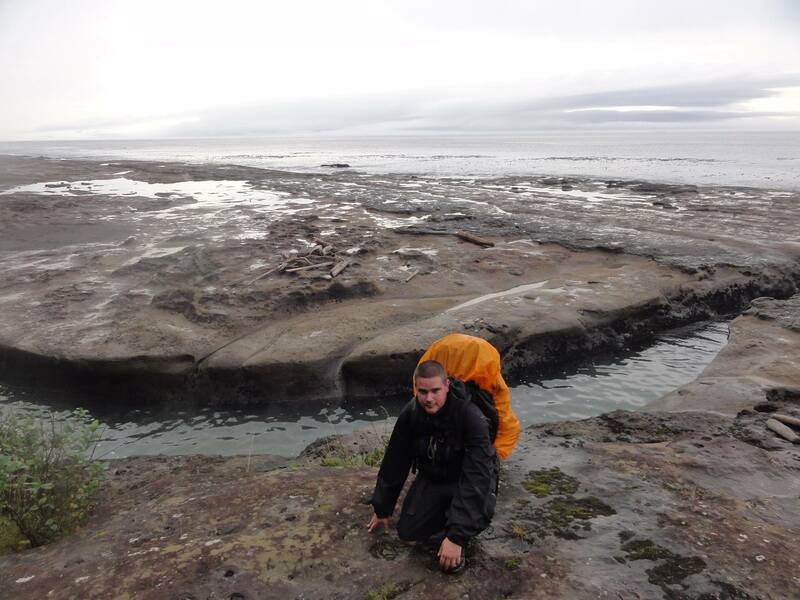 I hiked the West Coast Trail last summer on my own and it was a nice achievement for me and it got me in better shape and gave me higher confidence for being somewhere alone for some time (although there were other people doing the trail)and next I am planning for something for a longer period of time. I love hiking. So anyways, it was maybe 5 years ago from today I really wanted to find a martial art that was for me but I hesitated for so long and just imagined of what I could get into but never took action. I always took a liking to movies such as ‘The Bourne movies’ ‘Taken’ and the movie ‘The Hunted’ which I really like in particular, me and my good buddy have watched it countless times and it never gets old, and there are some realistic knife fighting scenes. What went through my mind during watching a lot of those movies was the kind of fighting styles they used and how they seemed really effective. I was researching on my own time of what I might want to get into, then my good friend mentioned to me that I should check out ‘Krav Maga’ which dealt with real life situations and taking on multiple attackers at worst case, and doing more research I realized that it seemed like one of the most effective self defense systems I had come across. I had then started looking on the internet for Krav Maga schools and then I came across Urban Tactics (and I’m so glad I did). I then realised I am going to have to bite the bullet sometime and reach out and give it a go. It has been almost a year today and I am so satisfied with it all. I have such a long road of learning from this class but I feel I have learned a lot of valuable things in a short time. I have no doubt grown more confidence in myself and I try to take in what is taught most seriously, and I go home and immediately write notes of everything that was taught in class. I have never been a fighter but I wanted to learn the skills needed to take action if necessary, we live in a crazy world and as boy scouts taught me ….be prepared. Prepare for the worst and hope it never happens. I also have a 16 year old brother and mother that I love to death and God forbid they were ever in trouble and with me I would want to know how to protect them as well as myself, or maybe help a defenseless victim that is in trouble if I could get him/her and myself out safely. One of the greatest things about this school is the people. All the classmates show great respect for one another. There has never been one person I have not had an enjoyable time training with. That is key I feel. I am so proud being a member of this school, it actually feels like a family. People look out for one other even when sparring and when the seniors of the school give me any tips on how to better myself I take every inch of information in with open arms and I’m very thankful. There are never any high egos in this class. Love it. Going back to the first day of class being super nervous, all these great people surrounding me made it a lot easier to get in that comfort zone. I recently attended one of their military Krav Maga courses they had. It was physically demanding at times but I enjoyed it all, it was just what I needed to keep me on my A-game. Up to a 2 years ago I have been doing roofing for the past 5 years and I got used to long days of physical work in the hot sun, but after I stopped I gained some weight again so this helped put me back ‘in check’. I have noticed my fitness levels getting slowly back to where they should be from this class and I have goals which I know I can reach. My goals for the class from here on in are to make no less than 3 classes per week, I know I can do it! Borhan and Jonathan are great teachers and I am grateful and satisfied when leaving each class. I wouldn’t want it any other way. I’ve always been interested in taking a martial arts class or boxing but for whatever reason I never got around to doing it. Krav Maga in particular was of interest to me as it seemed the most “real world” discipline to use as it deals with actual scenarios you could encounter because in the real world there is no referee, bell, ring, or rules for that matter. My wife bought a 3-month membership for my birthday to begin in January of 2014, and I was really excited she got it for me. I’ve always talked about doing it but never did!At the same of time of being excited I was also pretty nervous. I have trained in the gym for 16yrs, played lots of different sports, have never been afraid to get my hands dirty or get a bit bruised up from sports or activities. But throughout my entire life I have never been in a fight. Being a big guy, I guess I’m pretty much the last person someone would pick a fight with. Nonetheless, its something I’ve always been concerned about. If the situation were to arise, would I be able to effectively defend myself, my wife, my family, or others? In all honesty, I felt worried that I may not be able to. Especially being someone of significant size and stature, I’ve felt like its expected that I should be able handle any situation. That being said, after only a few months of consistently coming to the classes I definitely feel more confident if such a situation would arise. The first few classes I was very nervous, and the first time I did one of our sparing sessions I realized I had no idea how to handle myself. I was thankful that my size had kept me out of fights as I discovered I really didn’t know what to do! Its always easy to watch and comment on UFC fights and think in your mind you know what to do, but in the real world unless you have been trained… you’re clueless and your instincts are most likely wrong. 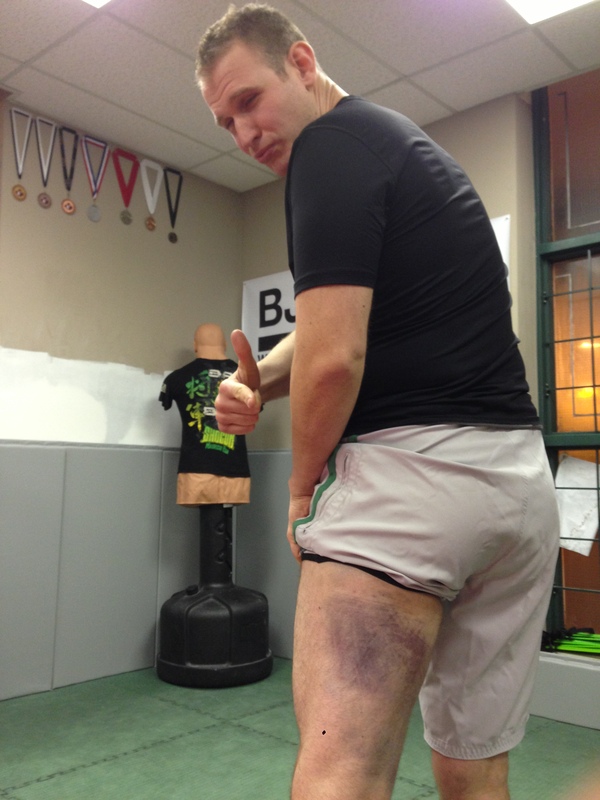 Krav Maga has tough me so much more than how to throw a punch, kick, or elbow. It has tough be how to read a situation, an opponent, and has reprogrammed bad reflexes/instincts with better ones. By no means do I feel like I can “take on anyone” nor do I want to. But it has greatly improved my awareness and confidence. I have also noticed an improvement in my overall fitness. For years I have consistently trained at the gym and have significantly changed my body composition from when I first started. That process has also increased my self confidence. However, being “gym tough” versus “street tough” are completely different. 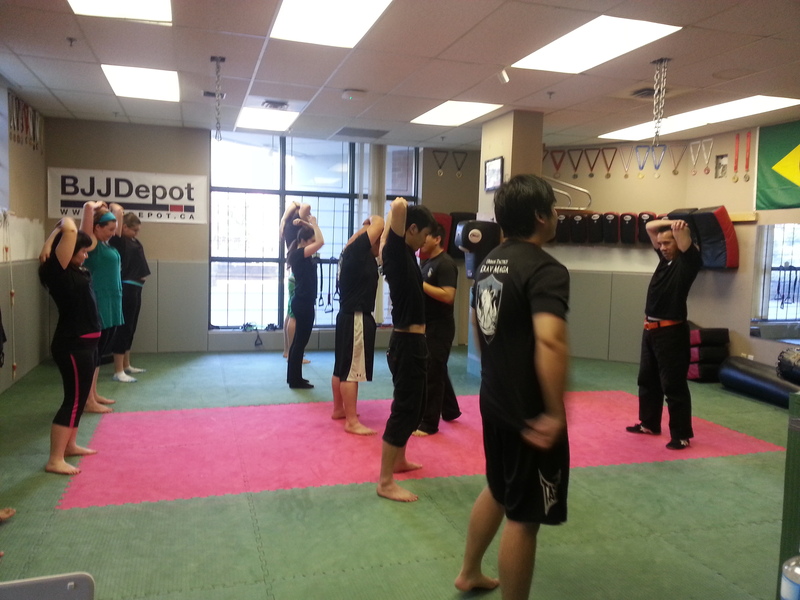 The addition of Krav Maga has filled in the gaps both physically and mentally. Overall I have lost roughly 12 pounds of body fat since the New Year, and my cardiovascular performance has greatly increased. More importantly, overall I just feel more confident and in control. I really enjoy the feeling of knowing I’m better equipped to handle myself in a bad situation/scenario. I’m mostly looking forward to progressing further with Krav Maga and improving my skill set and earning various levels of belts. Just as the gym has been part of my life since I was 18yrs old and will be for the rest of my life. I see Krav Maga being with me, in one way or another, for life as well. I really like doing stuff. Trying new stuff, making new stuff, improving old stuff, pressuring the comfort bubble, some times in earnest, others with trepidation. Some time ago I began to investigate different fighting systems. Having been a lamb of sorts, it was a personal area that begged investigation. 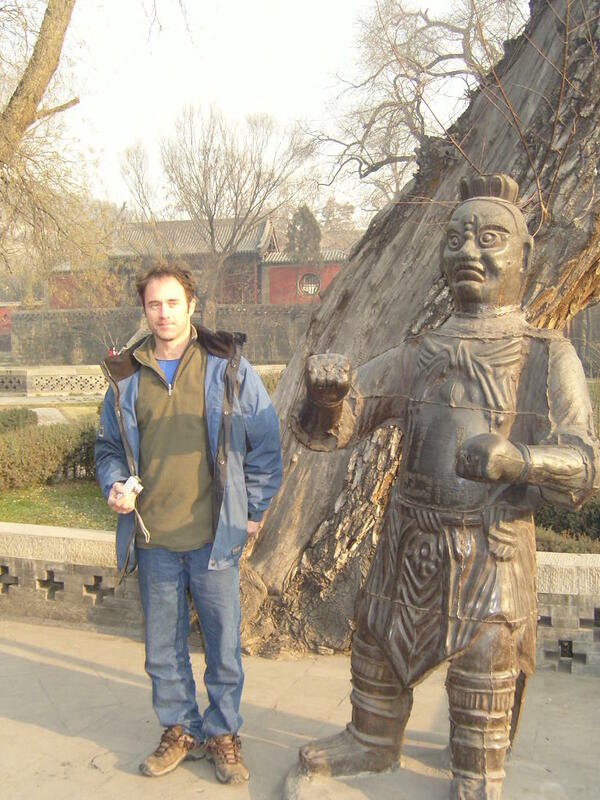 Having had the good fortune resourcing many acquaintances that had experience in a variety of martial arts, I felt that I with some help, I could leverage the right decision which path to choose. By accident, I came across the Krav Maga system, (not well known by the aforementioned). I was impressed by the progressive nature and practicality of this martial art, up to this point, strictly from research. Since free time for most of us is compromised at best, I was looking for instruction close to home, and found Urban Tactics in Burnaby to have an agreeable location and realistic hours. A few emails, a timid arrival, and exactly one year ago my first class was past me. Right away, we were immersed in a fully intense environment, free from the embroilment of art form and tradition. Our exercises and manoeuvres were realistically and scientifically explained. Two classes in, armed with my new minimal protection, we were sparring not with bags and pads, not practicing in air, but with each other. Real people, real opponents. Real punches in to the head; real kicks in the groin. It was this aspect that continues to captivate and bring me back to class each week. It was time to put the lamb of sorts to the side, well… forever. As most can attest, any opportunity for distraction from the life of raising children, working and generally looking after people should be clutched at once. For one hour at a time, there is nothing on the mind but the task at hand. No meal planning, no strategies on dealing with aging parents, not a blip on the radar. And it is this investment by all of our fellow classmates that conceives and nurtures a community of athletes striving for improvement both through instruction and through these real experiences with each other. And it is to our group of students and instructors that I owe a debt of gratitude for that hour of freedom each week. One can’t help the enthusiasm brought about by keeping up with the pack. This time to me is significant and extraordinary, and the skills we take away, the improvement in our mental and physical health is all icing. At no point is ones opponent in the Krav Maga class to be under estimated. Regardless of size, of the experience and ability, anyone can surprise, and anyone can learn. We at Urban Tactics, like with many martial arts groups, have a great opportunity to work with students from many disciplines, each bringing their strengths and experiences into the collective. I have always respected the trained fighter and athlete, more at this time than any other. The fitness that accompanies this kind of skill set (“… we get fit to do Krav Maga”) demands your improvement, a truly welcome and compelling reason to stay healthy, to stay strong. I have always considered myself fortunate to have had enormous opportunities to acquire a wide and varied skillset, in my working life, and through some other more personal crazy stunts our family has survived (or at a minimum, endured). I have had many great teachers, technical colleagues and friends and I consider all of my experiences in Urban Tactics part of this tremendous opportunity group. I would encourage everyone try this once. You reap what you sow, and these fields are truly bountiful.